"Fantastic Four" is anything but. 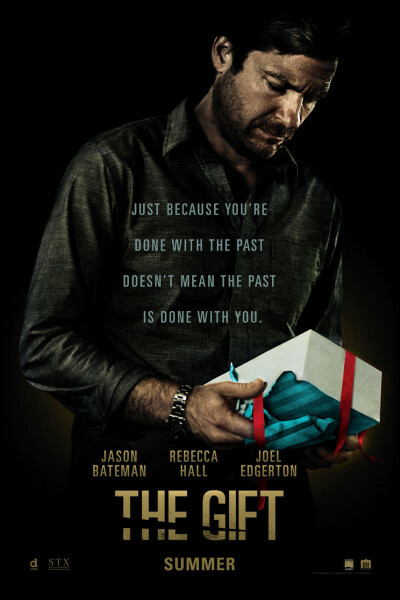 "The Gift," however, is precisely that: it is EXCELLENT, and I am SO HAPPY for Joel Edgerton, who wrote, produced, directed and starred. Way to go, Dude! Bonus: in most theaters, The Gift is preceded by a number of forthcoming creepy, crawly Halloween releases...if you're into that sorta stuff. Shyamalan's "The Visit," etc. Autumn is nigh, hip, hip, hooray! p.s. I've seen in twice now; it holds up well and, for the record, it was arguably the best movie of the month.